I just got back from England a few days ago, which is why I haven’t posted in a few weeks. 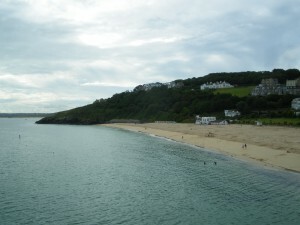 We spent about a week in Cornwall in St. Ives (the picture is a view from just outside our room at the Pedn Olva hotel there), and then a week in London, visiting family and wandering about. 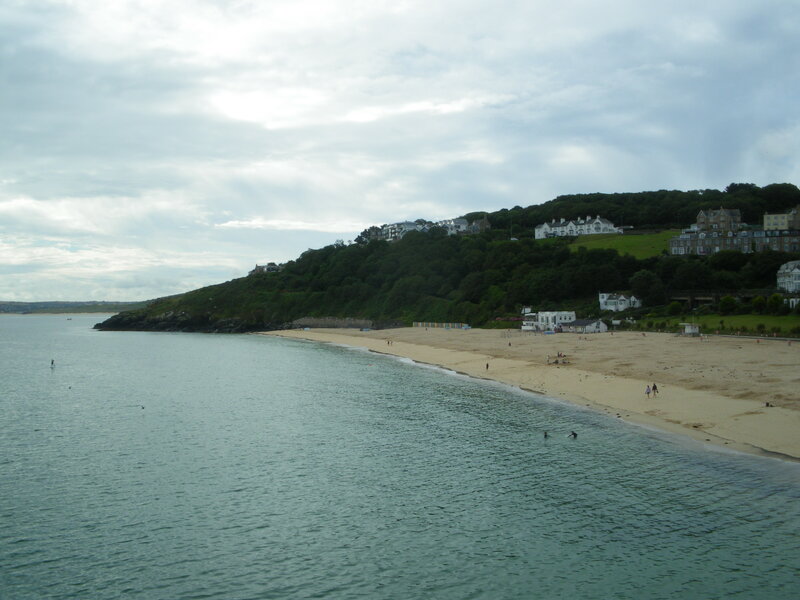 By the way, there are several St. Ives in the UK, so it is not entirely clear whether the riddle refers to this one or not. 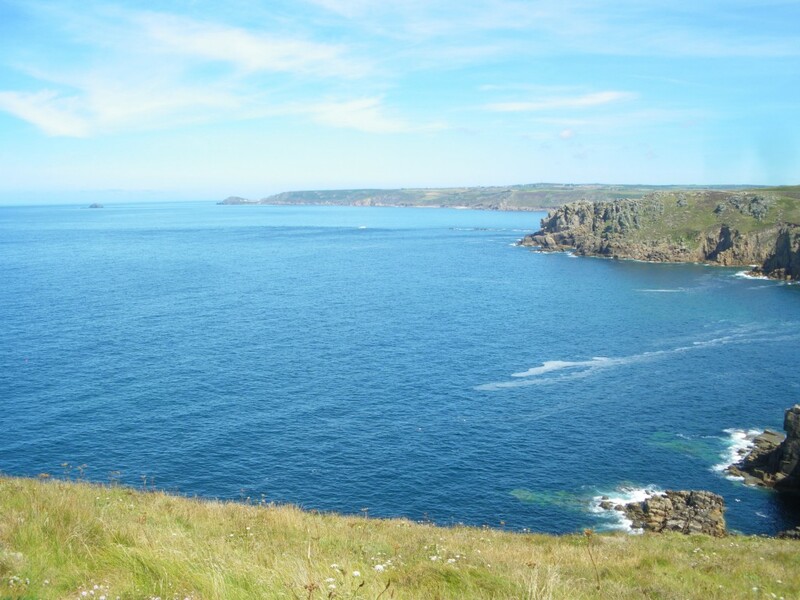 Cornwall is beautiful. I’ve included a few photos below. 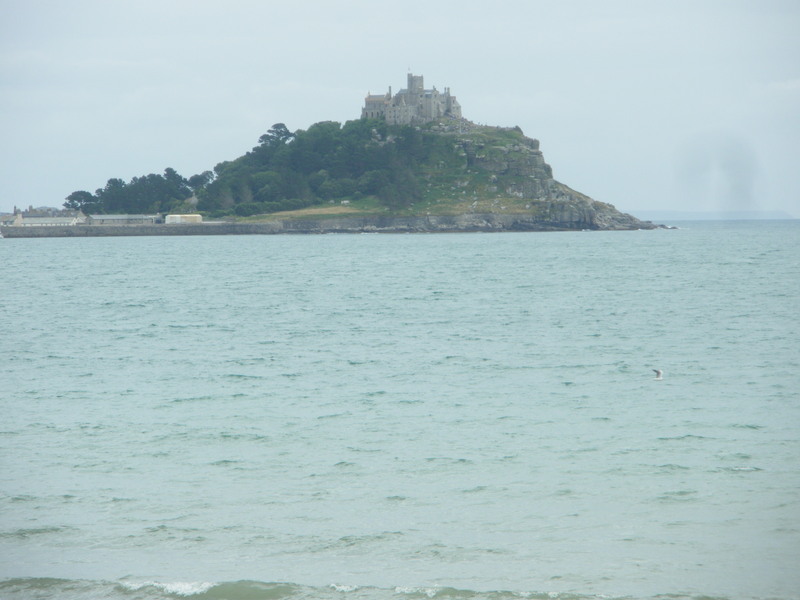 This is St Michael’s Mount near Marazion, Cornwall, a couple of miles from Penzance (as in the Pirates of). You can walk to the island when the tide is out, but have to take a boat the rest of the time. The castle has been continuously populated for something like 350 years, but (if your lungs and legs can handle the climb), you can tour parts of the building. 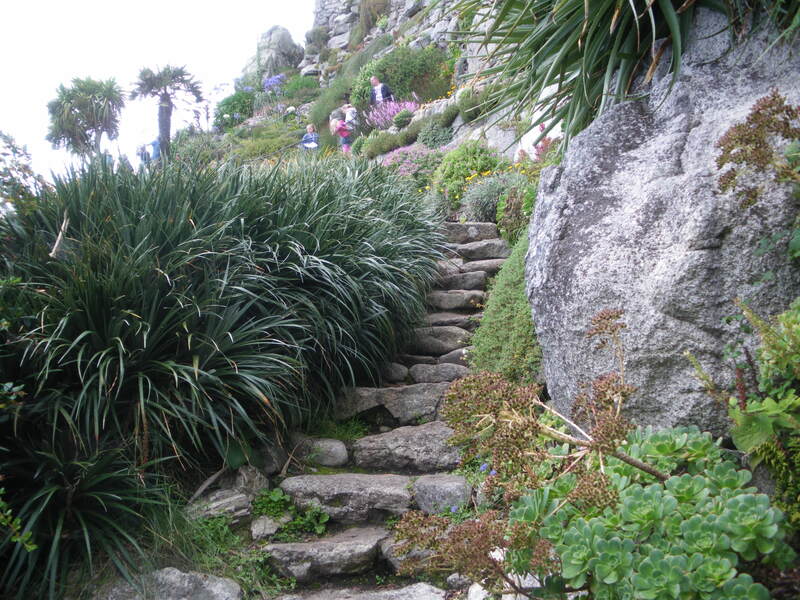 There are also some really cool gardens on the island, although you have to pay extra to see them–and do a lot of climbing! This is a shot from Land’s End, which is the western-most point of England. 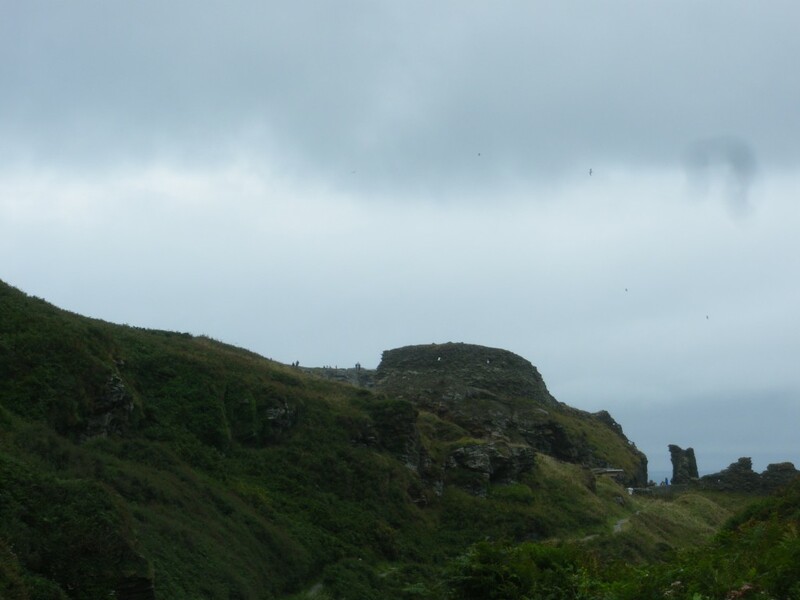 We also visited the ruins at Tintagel, which has a legendary connection with King Arthur (although the castle is 700 years too late, the legend says that he was born in the area). 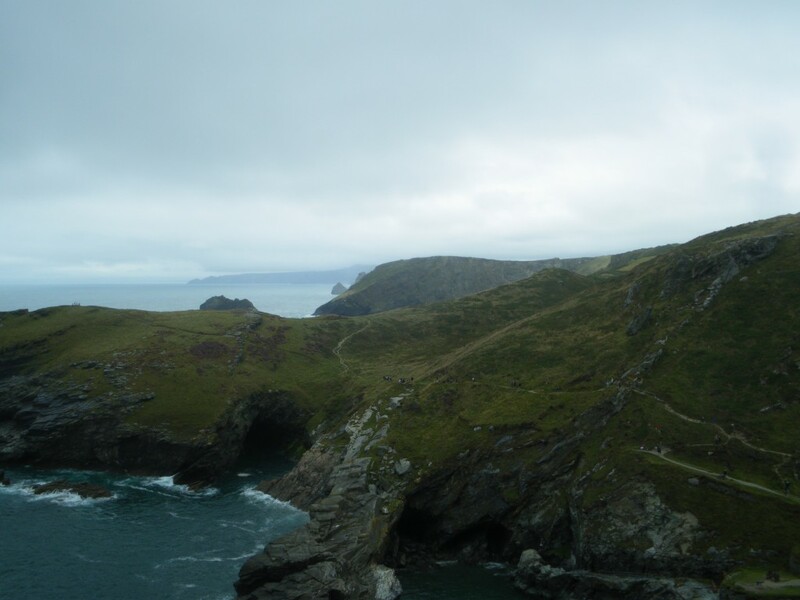 There is a lot of climbing to do at Tintagel too, but it is worth it for the view! 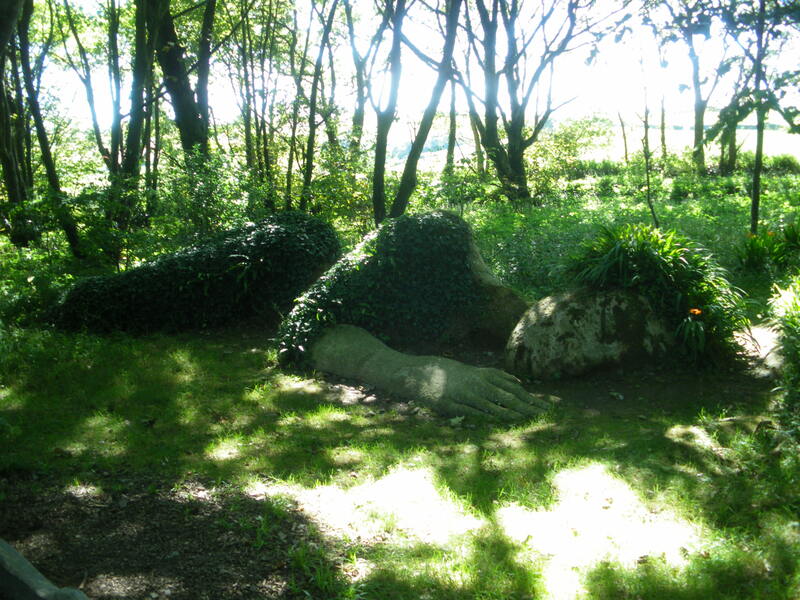 While we were there, some poor woman fell and broke her foot. The paramedics had to squeeze up narrow staircases with all their gear, and eventually they ended up calling in a helicopter to evacuate her away from the top. ‹ How many devices does your system support?